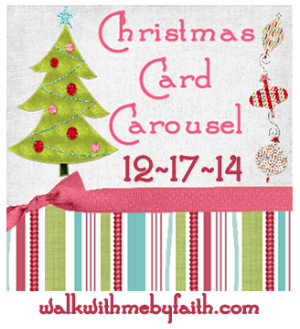 I'm so excited to be linking up today with Faith for the Christmas Card Carousel 2014!! This year's cards are from Tiny Prints and I am so happy with how they turned out! 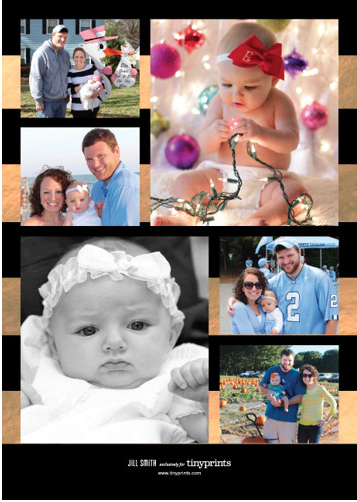 On the back are some of my favorite pictures from 2014...the day we brought Ella home from the hospital, Hilton Head, a UNC game, our trip to the pumpkin patch, and Ella's baptism! I also wanted to share how I addressed my envelopes! I am no calligrapher, but I found a little inspiration here and decided to try it out! What a perfect card! I love the gold detail. Just adorable! Loved your previous cards too! LOVE your card and the addressing! I did fake calligraphy for the first time this year and loved it! How cute! I love Tiny Prints. And I love your envelopes too, so unique and different! Stopping by from the link up! Merry Christmas! I love how you addressed your cards! I might steal it next year! 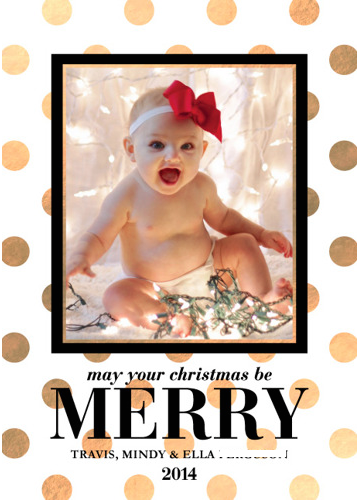 Stopping by from the Christmas card link-up. Thanks for sharing your card!!! There's no better team to pull for....Go Heels!! Whoop whoop!!! :)' Love your card.